The Schindler House, located in West Hollywood, California, was built in 1922 by Rudolph M. Schindler, the esteemed modern architect and Viennese émigré. Regularly hosting artists, musicians, poets, writers, and actors, Schindler and his wife, Pauline, quickly turned their home into a center for avant-garde art and inquiry. Today, the Schindler House remains a site for progressive art and thought, and is regarded as one of Los Angeles’s most beloved architectural and cultural landmarks. 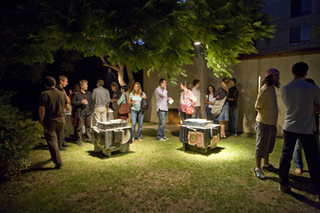 In partnership with the Friends of the Schindler House, the MAK Center seeks to preserve and promote the house and its grounds, as well as its legacy. 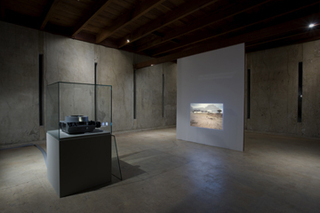 The MAK Center for Art and Architecture Los Angeles – partially funded by the Federal Minstery of Education, the Arts and Culture of the Republic of Austria – is a satellite of the MAK – Austrian Museum of Applied Arts / Contemporary Art in Vienna, in cooperation with Friends of the Schindler House. 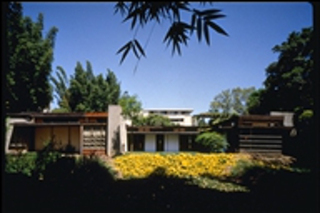 Formed in 1994 through an initiative by MAK CEO and Artistic Director Peter Noever, the MAK Center constitutes a significant international alliance to preserve and promote the experimental spirit of R. M. Schindler as represented by his landmark Schindler House.